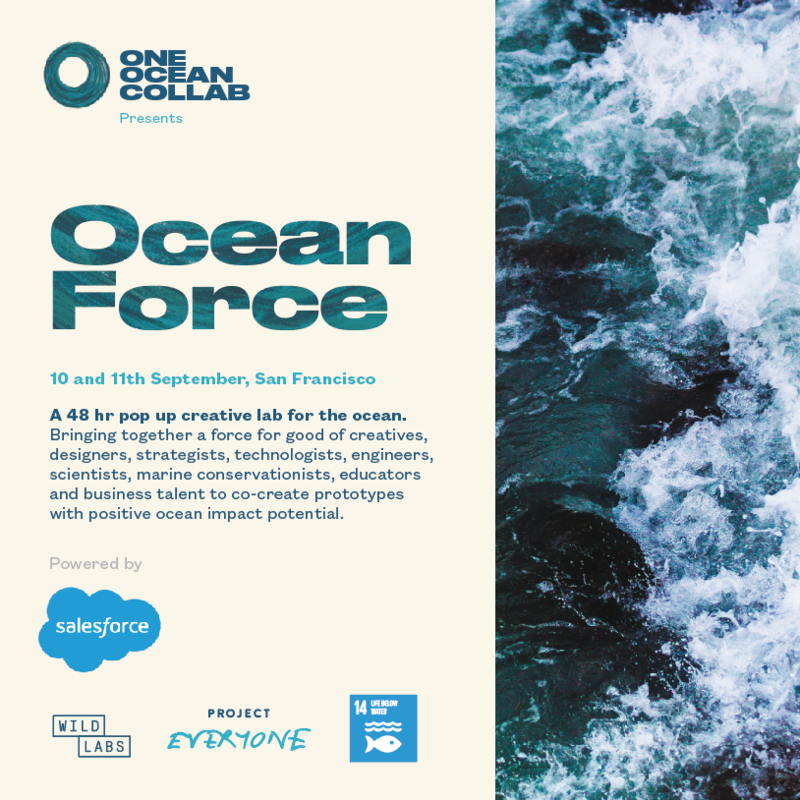 As part of the build up to Global Climate Action Summit and in pursuit of Global Goals 14, Life Below Water, One Ocean Collab in partnership with Salesforce are hosting a 48 hour pop up innovation lab for the ocean. Ocean Hack will bring together a mix of creatives, designers, strategists, technologists, engineers, scientists, educators, marine conservationists and business talent with a passion for the ocean to develop prototypes with impact potential. We will focus on three challenge areas, each exploring the application of technology and human creativity to meet a specific threat and issue the ocean faces. This event is about dreaming up new possibilities, harnessing diverse collective talent, energy and intelligence and using this unique opportunity to prototype solutions. In June this year, an experiment called World Ocean Day For Schools happened in the UK. The intention was simple: to kickstart a conversation between children, parents, schools and communities about the human relationship with the ocean, not just for coastal communities but urban schools in towns and cities far and wide. No big science push, no trying to change the curriculum, not just about plastic pollution, but a day to celebrate and explore the intimate relationship we have with the ocean and how we could build a new awareness and engagement with that. It was a great success. How might we build on this and make WOD for Schools in 2019 a truly global experience? How can we engage thousands of schools around the world to join the conversation? The oceans cover 70 % of the earth yet 97% of our satellite coverage is on land. There is pressing need for the the ocean and our coastlines to be monitored - the citizen has never been more needed to become the eyes and ears for the ocean and coastlines. Save the Waves has developed a prototype app Endangered Waves to engage its core surfer community in active and passive ways to notice, capture and log important and meaningful pollution data and coastal threats. The app is currently in testing and development phase and the core mission now is to recruit thousands more users as they refine the product itself both in terms of the quality of data it collects and the capability of the app to recognise and record using AI. The challenges the STW App faces are specific yet common to many conservation projects seeking to engage the public in tech driven citizen science. How might we incentivize users ? How might we make data usable, shareable and actionable to partners? How does AI become useful in more than just a buzzword? How might long term app dev needs and evolutions be creatively financed? Coral reefs could be the canary in the coal mine for climate change. Their rapid decline is a staggering loss to humanity but only a glimpse of what is expected to come from climate change. Coral reefs are maybe more resilient than we think? Coral reefs are home to 25% of all marine life on the planet, but without urgent action to address climate change, pollution, overfishing and other threats these beautiful and life-sustaining organisms could disappear. Roughly one-quarter of coral reefs worldwide are already considered damaged beyond repair, with another two-thirds under serious threat. We’ve seen huge momentum on the ocean plastics issue over the last 12 months. Coral reefs are a more complex system to communicate. Bleaching events, for example are happening worldwide and at an increasing rate, but are rarely reported upon. There are successful citizen science projects for monitoring coral reefs but they are dependent on divers, who make up such a small percentage of coastal communities & visitors. How can we find ways to connect coastal communities, and visitors to those communities, to the health of coral reefs ? How might we get land based public engaged on this coastal health issue ? How might technology help us? When we talk about the ocean, we tend to focus on the science, the conservation issues, the life giving properties, the protein source, the value to the economy - jobs, food, oxygen etc - all critical important stuff but not personal or relevant to many people and a framing that often fails to engage or create positive action. Meanwhile the story of the intimate, personal, human relationship with water and the wide benefits to an individual is missing from this standard framing. If water really is medicine then why aren’t we prescribing it more frequently to ourselves, our communities, our kids and the places we live and work? And why aren’t we looking after our waterways and blue spaces with more care? How can we find ways for this story of water and humans to find its way into the bigger ocean narrative and discourse? How might we ‘hack’ these stories of ‘water is personal medicine’ into culture - schools, health, sport, creativity, media, entertainment, leisure, design, politics, public places ? What could we create to help make this happen? 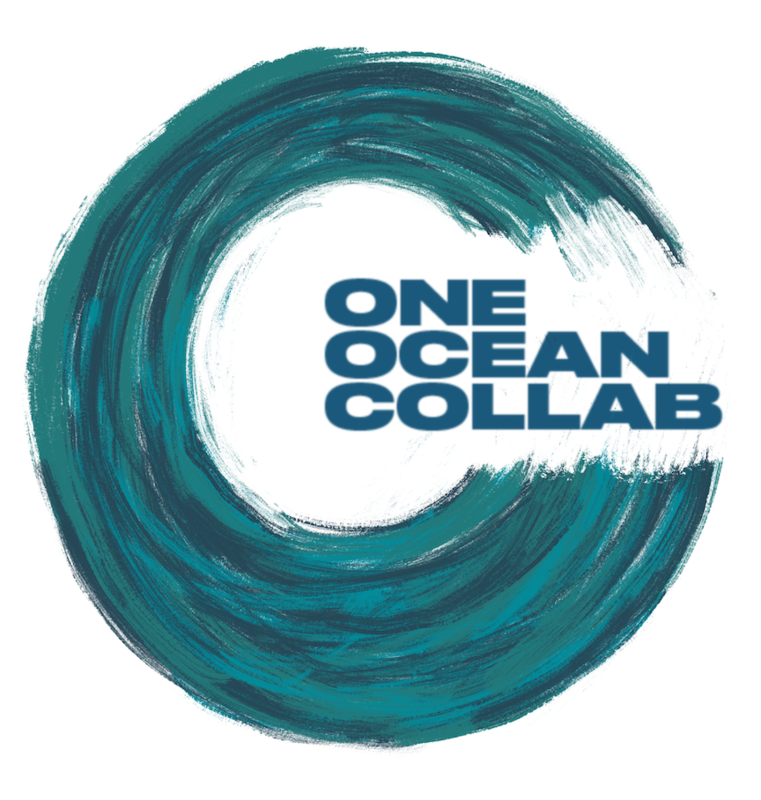 Spots are very limited, so we are seeking individuals with a range of skill-sets combined with a curiosity and empathy for the challenge and a desire to participate in this One Ocean Collab experiment. Register to take part and we will be in touch very soon to confirm your place. We'll get you up to speed on the challenges, the content we have curated to date, meet one another so we can get started on the challenges in the afternoon. We now move into the first stage of making and creating; everyone will be choosing the challenge and people they want to be working on! Closing out the day, we will have an opportunity to reflect and share with each other over some drinks and snacks. The format is for anyone who wants to, to take the ocean mic and share 3 minutes to the group about any ocean related riff. Fun! Bet you'll be hungry. Lunch is provided. We will also share back to the group where you are at, and any help you might need. "Every second breath we take comes from the Ocean"
Why do you want to participate in this Ocean hack? Can you attend on these dates? Ideally you can do both days, but appreciate you may have commitments, please let us know whether you can do both or just one of the days.